Limited edition of 300 copies on transparent blue vinyl with side-B silkscreened. 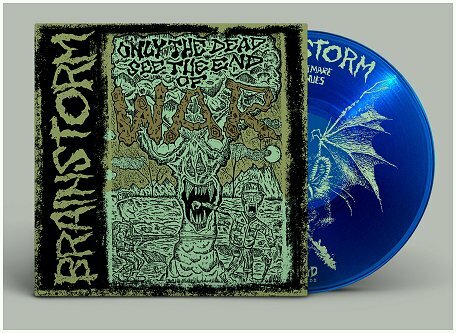 Official reissue on vinyl of BRAINSTORM's debut demotape "Only the dead see the end of the war" (1989). Among the multitude of cult demos worshipped by the most dogged tape-traders back in the day, this little treasure from former Yugoslavia has always been a highlight here between the FOAD's ranks. 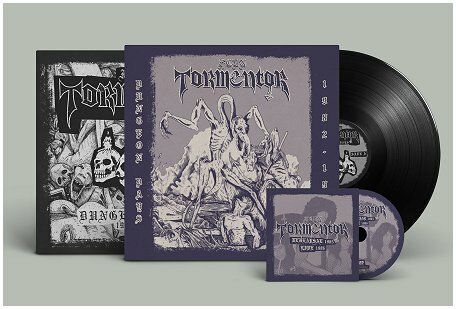 Their style was perfectly settled in the growing Grind/Britcore extremity that was exploding those years thanks to early releases of labels like Earache, Peaceville and Manic Ears. BRAINSTORM was totally devoted to that formula, delivering a manic raw barrage of grinding HC with a massive dose of riff-oriented Thrashcore catchiness. It reminds of DOOM, UNSEEN TERROR, DEVIATED INSTINCT, HERESY, "Scum"-era NAPALM DEATH and other pioneers of that scene. This link was consolidated by the fact that the singer of the band lived in the UK for a long period those years, attending that scene and bands like DOOM. Besides their devastating musical approach BRAINSTORM were a strongly political band with lyrics that were all focused on their country's social background, anticipating with their anti-war message the inner conflict that dismembered Yugoslavia in the years that followed. 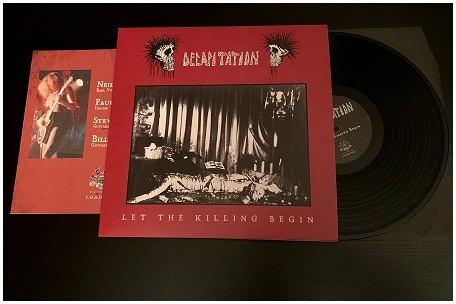 Mastered from the original reels at Toxic Basement studio with meticulous care for the best possible sonic result, "Only the dead see the end of the war" comes back to life in its most dynamic and powerful version ever. Also including 2 inserts with lyrics, photos, rare flyers and a lot more. 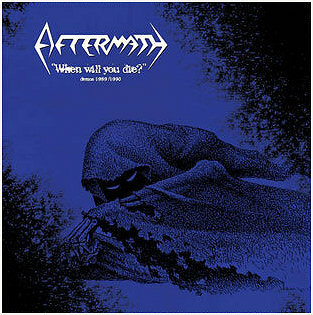 AFTERMATH "When will you die? Demos '89/'90"